After a tumultuous few years in the phone business, things might now be looking up for the Canadian tech firm. 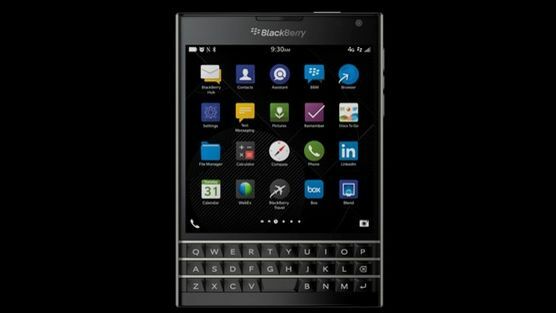 BlackBerry has confirmed rumours of the leaked 'Windermere' smartphone by revealing its latest addition to the BB fleet, the Passport. Miles apart from the brown thing you wave at airports in hopes of avoiding a cavity search, BB's Passport is a spanking new 4.5-in smartphone set for release this September. The device comes sporting a 1440 x 1440 (that's right, a square) screen, a quad-core Snapdragon processor, an Adreno 330 GPU and a generous 3 gigs of memory. The instragram-shaped handset comes equipped with the quintessential BlackBerry physical QWERTY keyboard – although it's been tuned down in size, now a mere three rows deep. "Physical? !," we hear you cry, "is this the 90's?" Fear not, the Passport's keyboard is fully capacitive, meaning the phone's touch-sensitivity flows seamlessly from display to keypad. In other good BB news, the Canadian company posted a net profit last quarter, signalling a possible turnaround in its financial fortunes.